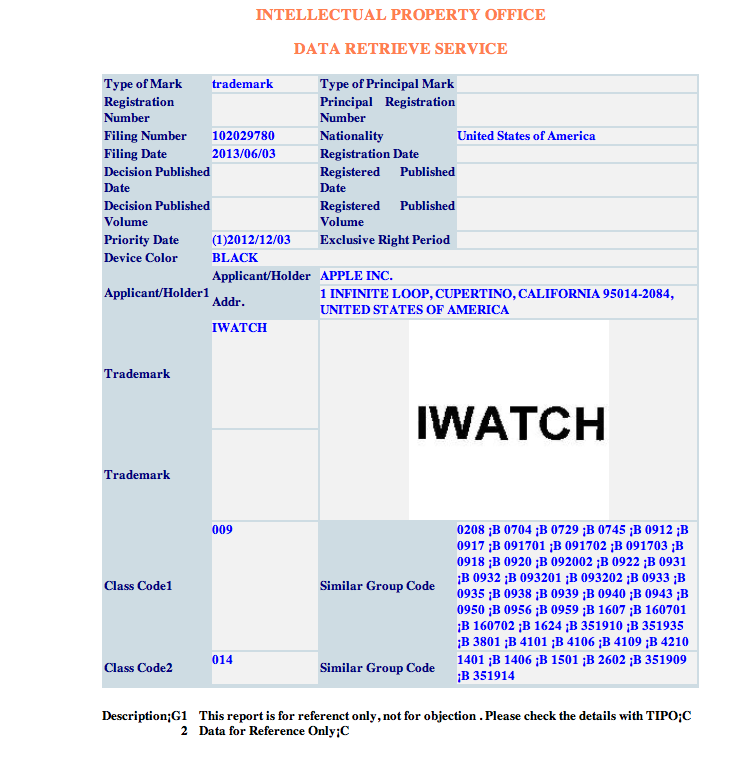 In addition to filing for a trademark on the term "iWatch" in Russia and Japan on June 3, we have discovered that Apple filed for a trademark in Taiwan, which follows a report from 9to5Mac that Apple filed in Mexico as well, bringing the total number of trademark filings to four. In both iWatch trademark filings discovered today, Apple Inc. is listed as the company behind the requests and the company’s Infinite Loop address in Cupertino, California is included on the applications. The filing in Taiwan includes a device color, which is listed as "black," while the Mexico filing was submitted via Mexico-based law firm Arochi, Marroquín, & Linder, S.C, which has worked with Apple on other product trademarks. News of the iWatch, which is one possible name for Apple's rumored smart watch, first surfaced in late 2012 and was followed by a patent application for a wraparound-style “wearable video device” in February. According to reports, Apple has a team of 100 product designers working on the watch, which may include a 1.5–2.0 inch OLED display along with biometrics, iPod nano touch technology, and the ability to interact with existing iOS devices. While it has been suggested that Apple's smart watch could launch later this year, KGI Securities analyst Ming-Chi Kuo has instead targeted a late 2014 release date for the iWatch, suggesting that Apple is not quite ready to ramp up production for a 2013 debut. Apple is planning to work with Nevada utility company NV energy to build a solar panel farm next to its Reno data center, reports GigaOM. Like the company's two other solar farms located in North Carolina, the Reno solar farm will provide between 18 and 20 MW of power and will be built by solar company SunPower. The Reno site will incorporate the SunPower Oasis C7 system, which includes a set of parabolic mirrors to reflect sunlight onto solar cell receivers, "concentrating the sun’s energy by 7 times." Apple's solar farm plans were approved on June 12 by the Nevada state utility commission, and under the terms, Apple has the option to expand the solar farm in the future. 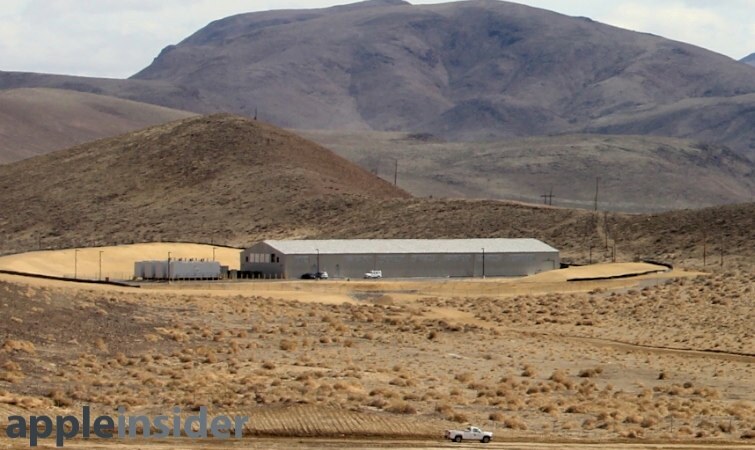 While the farm is under construction, Apple will use local geothermal power to run its Reno data center, continuing its commitment to clean energy. All of Apple's data centers use 100 percent renewable energy, and we are on track to meet that goal in our new Reno data center using the latest in high-efficiency concentrating solar panels. This project will not only supply renewable energy for our data center but also provide clean energy to the local power grid, through a first-of-its-kind partnership with NV Energy. When completed, the 137 acre solar array will generate approximately 43.5 million kilowatt hours of clean energy, equivalent to taking 6,400 passenger vehicles off the road per year. Apple first announced that all of its data centers run on 100% renewable energy back in March, with its corporate facilities running on 75% clean energy. According to Apple's environmental policy pages, the company has decreased its greenhouse gas emissions by 21.5 percent since 2008 and estimated itself to be responsible for 30.9 million metric tons of greenhouse gas emissions in 2012. Apple updated its investor relations page today to note that it will announce its earnings for the third fiscal quarter (second calendar quarter) of 2013 on Tuesday, July 23. The earnings release typically occurs just after 4:30 PM Eastern Time following the close of regular stock trading, and the conference call is scheduled to follow at 5:00 PM Eastern / 2:00 PM Pacific. The release will provide a look into the strength of iPhone 5 and iPad mini sales into their third quarter of availability, and perhaps updates on the new products announced at WWDC. Apple's stock price is down some 23 percent year-to-date and roughly 300 points off its highs of last year. Analysts have continuing concerns about Apple's ability to innovate without Steve Jobs, though the current price is up slightly from the previous earnings call. In the past two July earnings calls, Apple has announced the imminent launch of OS X Lion and Mountain Lion, though there is no indication yet that Mavericks will launch the day after the call. Apple reported strong results three months ago when it announced a dramatic increase in its share repurchase authorization and a larger dividend payment. Apple should update investors on the progress of its share repurchase program. Apple provided guidance for the third quarter of fiscal 2013 for revenue of between $33.5 and $35.5 billion and gross margin between 36% and 37%. And thanks to the new bugs feature, if you would like to see this implemented as well, please click on the bug link, and then on the “Affects Me” button. Please let your voice be heard. And who knows, perhaps if enough of us would like to see this, then maybe it will happen. 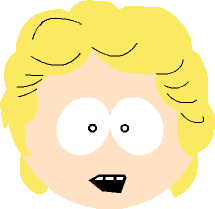 [Edit]: I just realized Erkan already filed the same feature request about a week ago. So please give his bug the “Affects Me” click, to let your voice fully be heard. Around 1960, [Aaron]‘s grandfather decided to try his hand at a new career in electronics repair. It didn’t pan out, but before he gave up he built a beautiful Heathkit oscilloscope, a model OR-1. Grandpa’s electronics career never took off, but years later it would serve as the impetus for [Aaron]‘s own career in electronics. Now [Aaron] has too many oscilloscopes, but still wanted a way to preserve his grandfather’s legacy. An oscilloclock was just the project to do that. Of course to turn an oscilloscope into a clock requires some interesting control circuitry, and [Aaron] didn’t skimp on his build. He created a custom control board that is able to draw any shape on the CRT screen using just circles; squashing circles to draw a line, and cutting the beam entirely to slice a circle in half. This isn’t [Aaron]‘s first oscilloclock by a long shot. He previously created this amazing clock completely from scratch. Still, using Grandpa’s old tools is a great way to make this oscilloscope useful again, even if [Aaron] is already up to his gills in test equipment. Drop Something? Get the Vacuum! Take the machine shop with you; that’s the mantra which drove [Ryan] to build this CNC mill in a briefcase. That album will give you a taste of the final product. But you’ll want to dig through two pages of his forum thread starting with this post in order to behold the build process. The image above is only part way through the fabrication, but we thought it gave the best overall view of his work. It’s missing the cables which connect to the control circuitry in the lid. The bed has also not been installed and this was before he fabricated the protective case for the PCBs. Getting everything to fit inside of a folding case was quite a trick. Of course he used CAD to make sure it was possible. There are several places where the clearance when closed is about 2mm. We’re shocked by the build quality of the mill itself. It’s a novel idea to make it portable, but the accuracy and reliability of the machine didn’t suffer for the concept. If you need a desktop mill that’s not quite as portable here’s a project which will dish out some inspiration. How Can You NOT Read This Wrong? Can You Paint With All the Colors of the FAIL? Check out the tomato plants [Devon] grew using a monitoring system he built himself. It’s based around a Raspberry Pi. As far as grow controllers go it falls a bit short of full automation. That’s because the only thing it can actuate is the black water line seen hovering above the plants. But [Devon's] work on monitoring and collecting sensor data should make it easy to add features in the future. 9to5Mac reports that Apple is likely to launch its annual "Back to School" promotion in the United States and other countries this week, perhaps as soon as tomorrow. The program offers iTunes Store/App Store gift cards to students who purchase a Mac or iPad, and for the first time the program will also include iPhone purchases this year. The promotion will give eligible students an iTunes/App Store gift card with the purchase of a Mac, iPad, and for the first time, an iPhone. The gift cards that come with Mac purchases will be worth 100$ while the cards accompanying the iOS Devices will be worth $50. MacRumors had heard over the weekend that Apple retail stores will be performing an "overnight" tonight to adjust signage and other aspects of store layouts. Our source indicated that tonight's changes are likely to be in support of the Back to School promotion, suggesting that it will indeed launch tomorrow. Apple runs the Back to School promotion at different times throughout the year in different countries to correspond to the various educational calendars, but the program launching this week will be the company's largest as it will likely include the United States, Canada, and Europe. Apple is carefully monitoring the way that its retail workers are using iOS 7, reports 9to5Mac. Both retail store managers and Apple's Human Resources team have been contacting employees that are found using iOS 7 to ensure that the beta software was installed through official Developer channels. Apple's retail workers are only authorized to install iOS 7 if they are members of the iOS Developer Program or part of an internal testing project. Employees are not allowed to sign up for a developer account and share the iOS 7 beta with coworkers, as noted in a warning letter that Apple sent out to some retail employees. Am I allowed to load and use iOS beta software on my devices? Not unless you are a member of the iOS Developer Program, or have been explicitly authorized by management to participate in the development or testing of internal Apple applications as part of an official Apple project. You may not load iOS beta software onto any other person's iOS device. Employees are not authorized to receive iOS beta software from any third parties, even if those third parties are iOS Developer Program members. Employees have also been forbidden from showing the iOS 7 beta to Apple Store customers. According to retail workers who spoke to 9to5Mac, Apple is "super strict" about all iOS 7 usage in store. "We could get fired for showing a customer iOS 7 on our phones because of the Apple Developer NDA agreement," said one employee. Customers who bring in malfunctioning phones running iOS 7 will not be able to have them serviced in store either, as Apple has implemented guidelines preventing Geniuses from working on phones running the beta software. Apple routinely uses its retail employees to test and improve software. Last year, Apple relied on its workers to help improve its Maps app, and this year, certain employees have been given access to OS X Mavericks for beta testing purposes. iOS 7, which offers a radical design overhaul along with a number of performance enhancements, is currently only available to developers. The final version of the software is expected to be released this fall alongside the next generation iPhone.